Building on the theme of this year’s Bee Hive Day, Rose Titchiner of Bungay Community Bees will explain how we can provide year-round plants and habitats for bees, pollinators and wildlife . She’ll introduce Bungay Community Bees’ Get your Garden Buzzing project – a bee-friendly plant labelling scheme that can be used by any garden centre. Meanwhile there will be a Bee and Flower Walk around Bungay’s diverse green spaces, local author (and TFP editor), Charlotte Du Cann reading from her latest book 52 Flowers That Shook My World, a screening of the highly acclaimed film Queen of the Sun and a panel discussion. Waveney Beekeeping Group and Bungay Community Bees will display hives, equipment and information to show how honeybees work and how they can be supported by beekeepers. 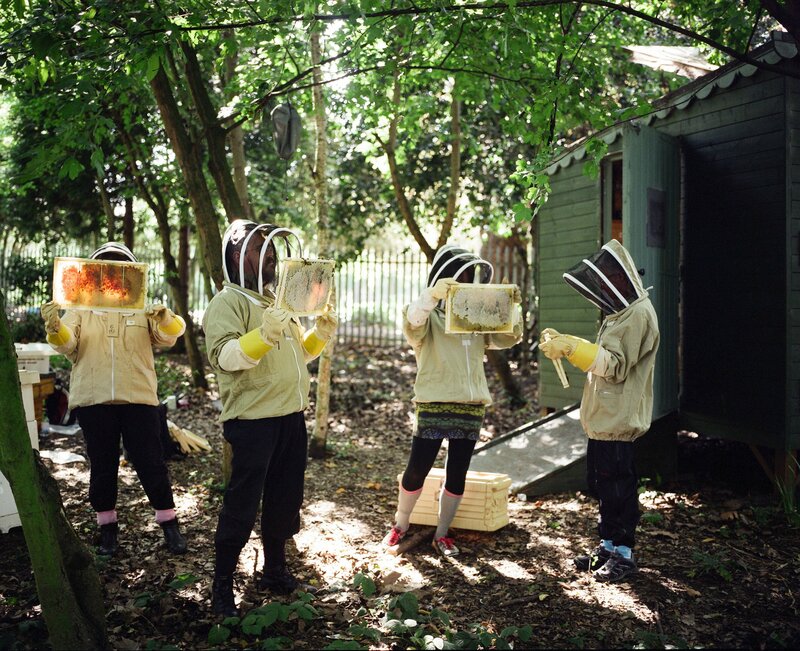 Images: Introduction to Beekeeping Day by Jonathan Goldberg (Transition Kensal to Kilburn) ; Bee and Flower walk for Bungay Beehive Day, 2011 by Muhammad Amin.